Hi. We are Andrea and April, and we are Sister-in-laws. 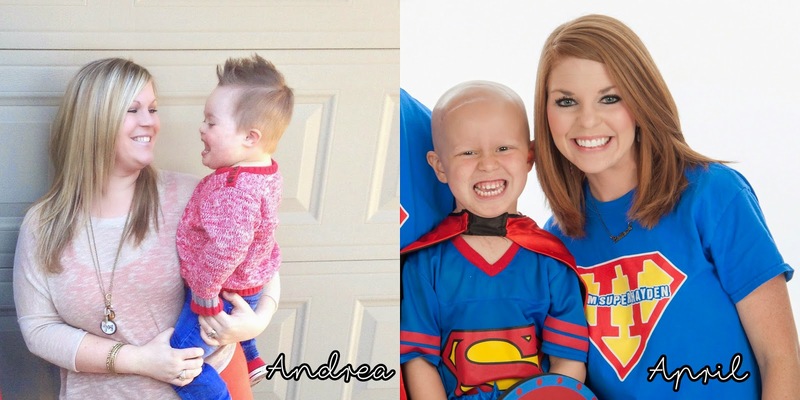 On November 15, 2011, Andrea's youngest son, Deacon, was born with an unexpected diagnosis of Down Syndrome. On April 4, 2014, April's oldest son, Hayden, was diagnosed with brain cancer. God used both of these events to create a deeper passion in us for Him and a love for others like never before, causing us to want to live a life full of meaning and purpose. Matthew 5:16 states, "Let your light so shine before men, that they may see your good works and glorify your Father in Heaven." Our hearts' desire is to live this life unselfishly and for all that we do to reflect back to the Giver of life and light. That is what "Be the Light Project" is based upon. Our goal is to help others and share their stories for God's glory. Please visit our Shop to make your purchase with a purpose.